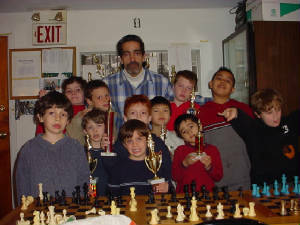 Why teach Chess in the Schools. 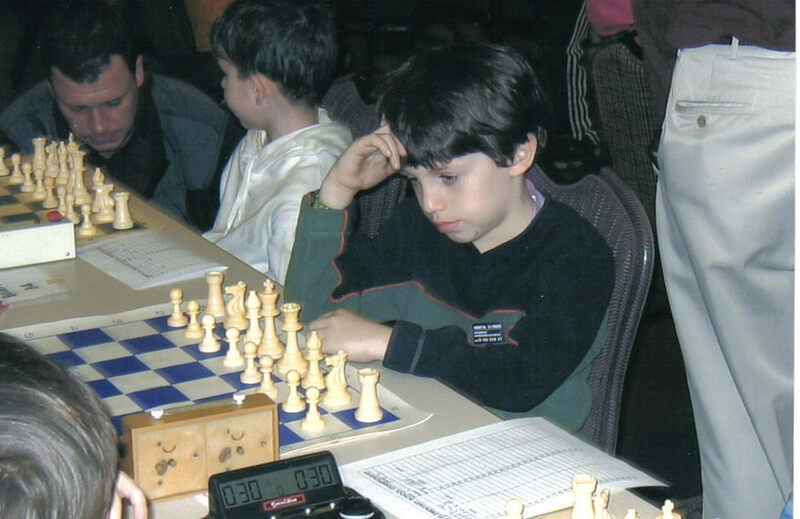 "Introduction to Logical Thinking "
Kasparov Vs Karpov***The greatest rivalry in Chess history!! 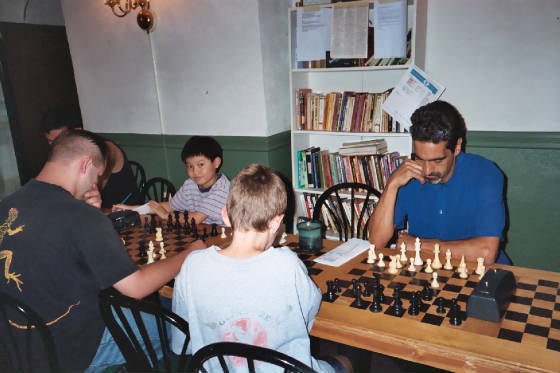 How to beat my kids in chess, CHAPTER 7. 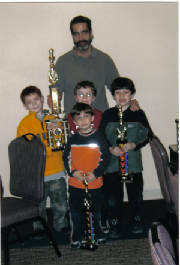 The NEW JERSEY STATE CHAMPIONSHIP. 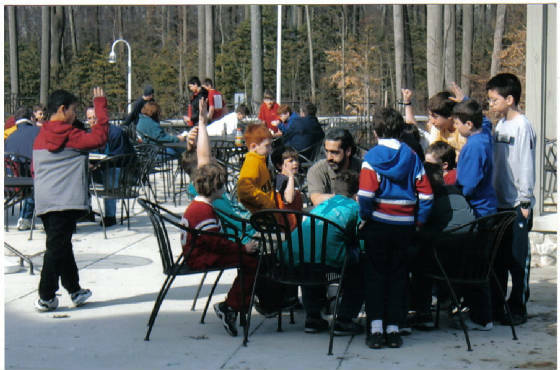 With over 300 participants, directed by the New Jersey State Chess Federation, and sanctioned by the United States Chess Federation, the Hoboken Chess kids went to the New Jersey 2008 state chess championship, and again were successful. 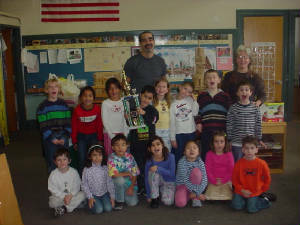 Anangh Kulkarni won a first grade 3rd place championship trophy. 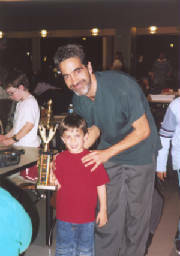 Max Tamarkin won the 6th grade 1st place Championship trophy. However the star of the day was Garrett Chu. 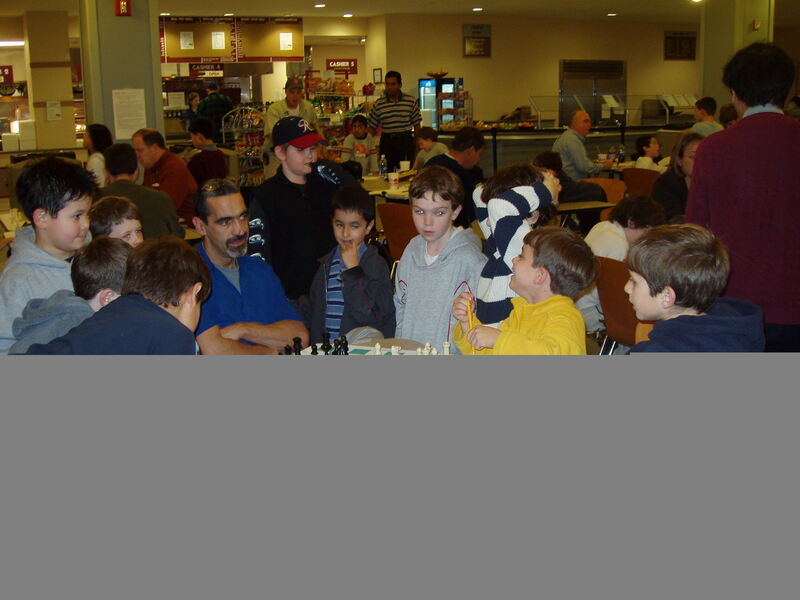 Vrutik Thakkar finished with a respectful 2 wins and a draw for 2.5 points. 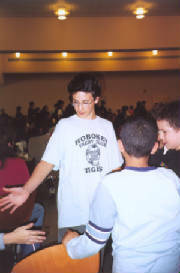 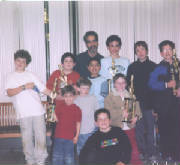 The Hoboken Chess kids have won at this event for the past eight years. 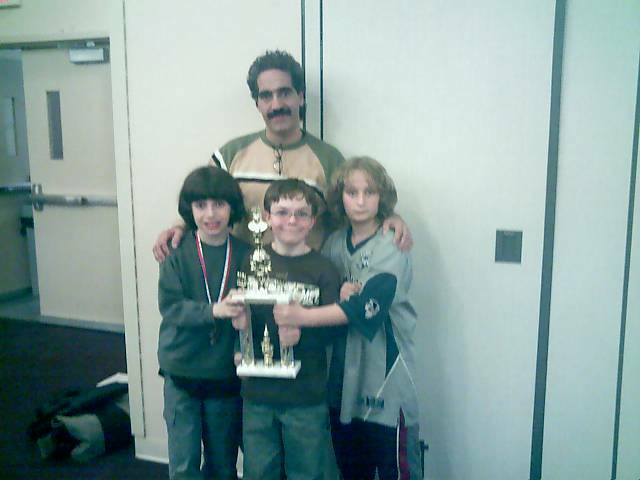 Please join me in congratulating these children on this great accomplishment. 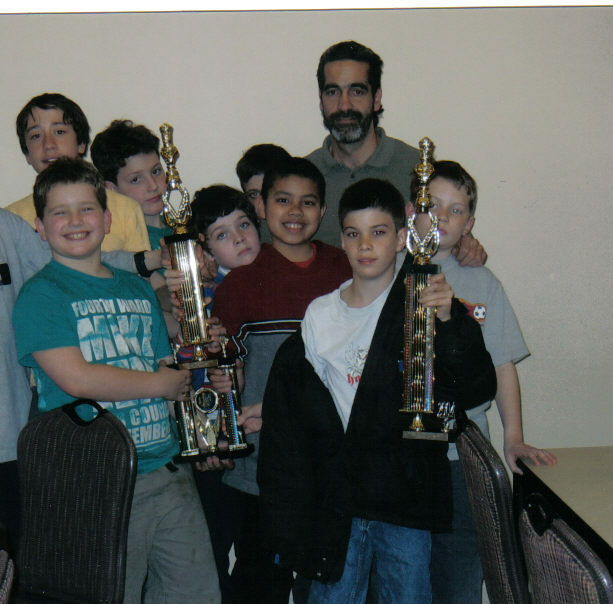 With over 300 children from around the state of New Jersey, the Hoboken Chess kids won TWO State championships and finished fourth in another one! 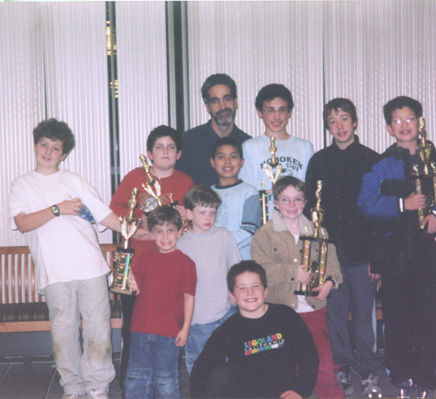 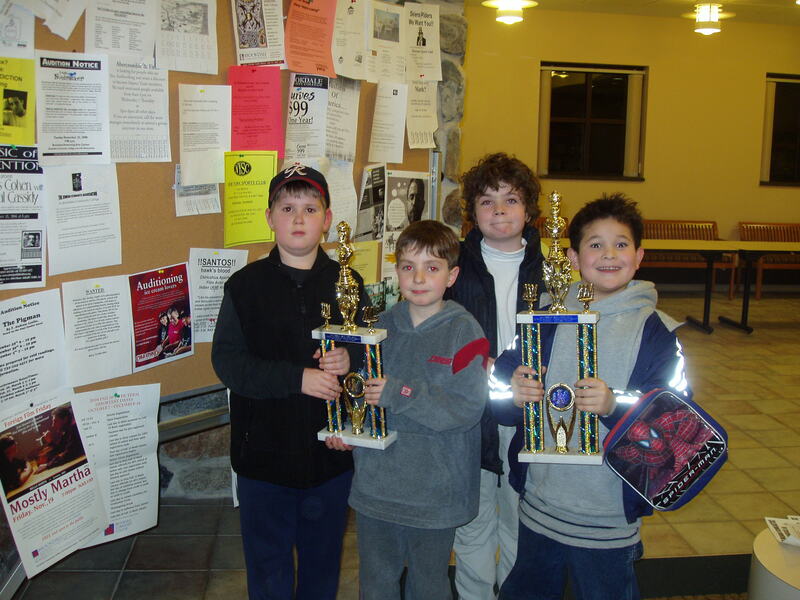 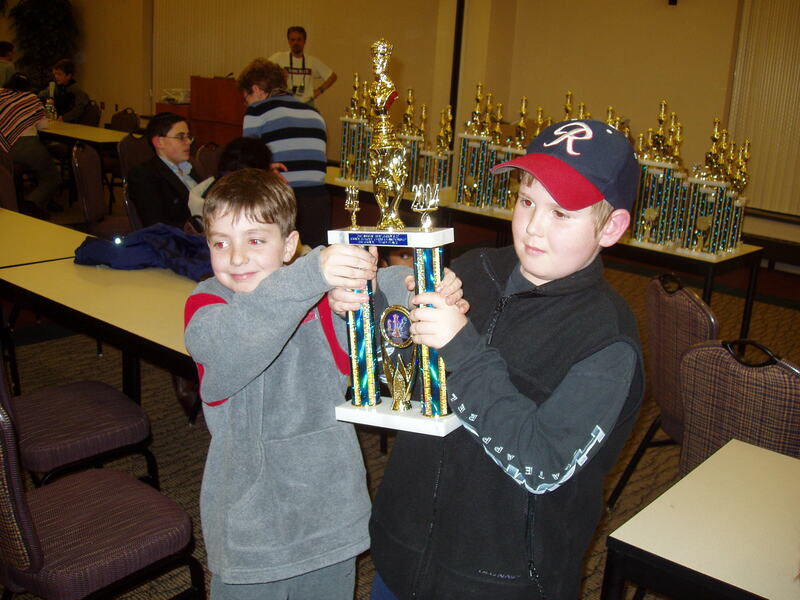 The Team (pictured above) of Max Tamarkin (left), Sean Evers (center) and Ethan Gilbert (right) Claimed a trophy at the 2006 New Jersey State Chess championships. 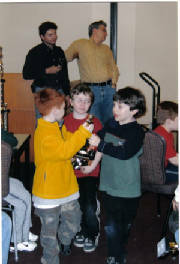 actually move ahead of the fourth place team in the process. 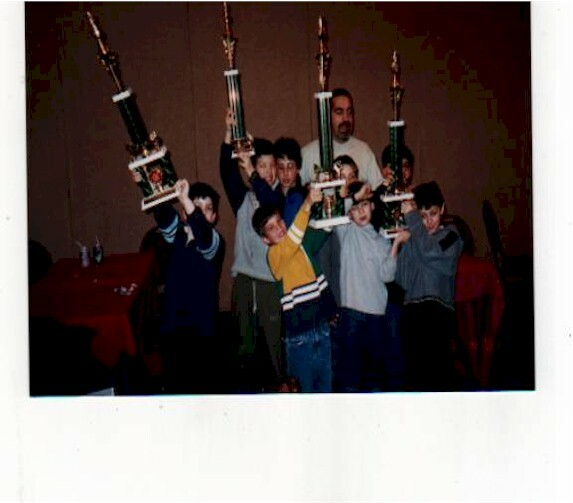 over the last 4 year's in a row!